It was unlike anything I have ever tasted; its sweet and tangy taste was quite different from the regular barbeque sauce and ketchup that I normally use if you are from Chicago IL or DC you would probably understand what I mean. After that day I was really interested in knowing how to prepare this special sauce. So, when I got home later that day, I did a quick research on how to prepare the sauce, although I didn’t quite get what I was looking for as there was no specific or official ingredient for preparing the mumbo sauce, I didn’t quit. Instead, I dug deeper into my research and I was able to get a standard ingredient list after which I finally made the mumbo sauce and it was simply amazing. I’ll be sharing with you this amazing mumbo sauce recipe. For today’s post, I am going to show you guys everything I gathered from my research on the famous mumbo sauce ranging from its controversial trademark issue all the way down to how I prepared my own special extra tasty mumbo sauce. Identical in nature to a plum or a barbecue sauce and ketchup, the mumbo or mambo sauce as they call it in DC is a condiment developed in Chicago, IL. 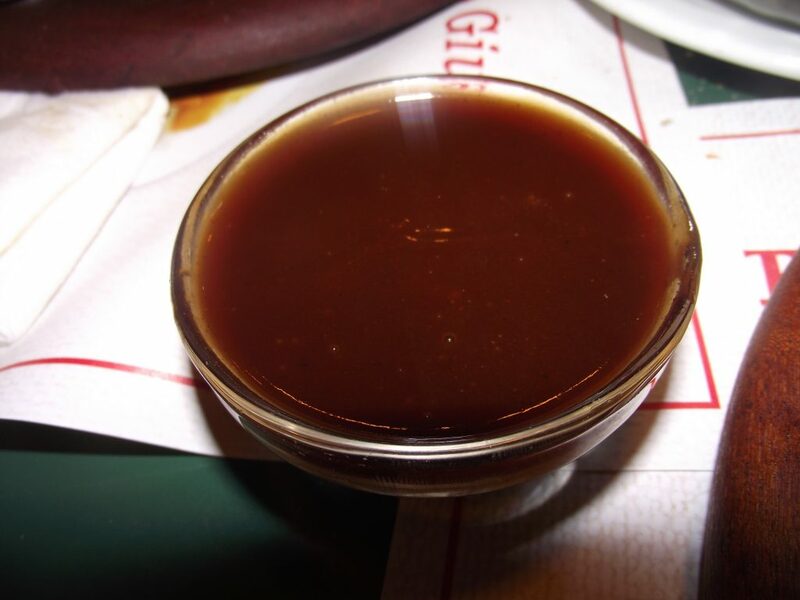 The mumbo or mambo sauce differs in color from reddish orange to just plain orange. It is actually thinner than the normal average red barbeque sauce. Mumbo sauce also differs in taste and sweetness from place to place as it tastes similar to the Chinese sweet and sour sauce in some places while in other places it could have a hot, sweet and spicy taste depending on how and what they used in preparing it. As a matter of fact, I sometimes imagine it to simply be a combination of sweet and sour sauce with a little ketchup added to it. Red barbecue sauce and sweet sauce are without a doubt made with the same ingredient: tomato paste, sugar and white vinegar. 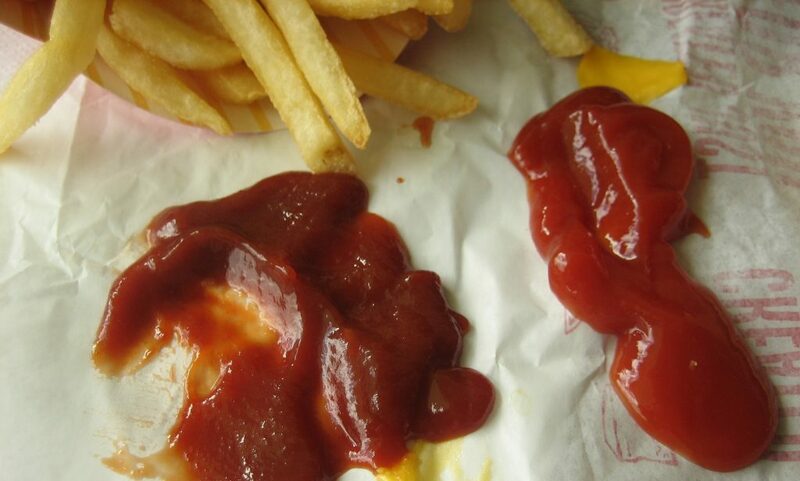 While the red sauce plays a major role in the normal American red sauce sauces, the vinegar and sugar, on the other hand, plays minor role but for the mumbo sauce, it is the other way around, this means that the tomato paste plays the minor role while the sugar and vinegar play the major role. It is usually applied to French fries, fried chicken wings, fried rice and fried shrimp, marinade, egg rolls, barbecue sandwich and almost anything fries you can think of and even pizzas. Some persons do prefer honey for the fried chicken and fish (most especially people in the deep south of DC) but I particularly find to be too sweet. However, with vinegar in the mumbo sauce, the story is different, the vinegar practically sinks through the fries giving quite a unique taste that is not too sweet but spicy. 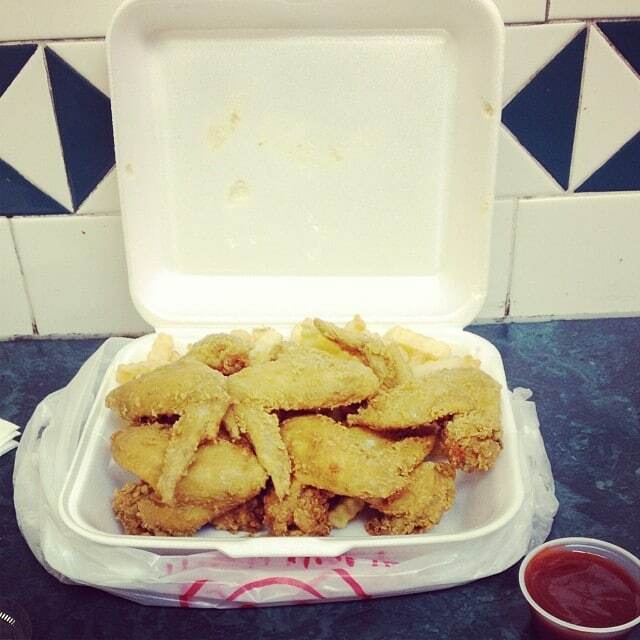 The origin and ingredients of the mumbo sauce have always been a subject of great dispute as no one really knows the specific ingredients of the sauce. But according to the findings from my research, it is said that the mumbo sauce was originated in the southside of Chicago in the early 1950s by an African American man named; Argia B Collins, now there is no way you will the talk about mumbo sauce or anything that has to do with the mumbo without mentioning the name Argia B Collins (the supposed founder of the mumbo sauce). Argia B. Collins was an African American from Indianola Mississippi, he was part of the post-world war 2 (WWII) movement from the agricultural north to the industrial south basically from the Delta area of Northwest Mississippi. In the early 1950s, Collins open his first restaurant (Argia B’s Bar B-Q) somewhere in the south side of Forestville and in 1957. Collins was able to put together the famous Argia B’s Mumbo Bar-B-sauce. As at that time the locals referred to it as a mild sauce since it was not as hot as the usual hot sauce they were used to. In addition to the amazing ribs the restaurant was known for, they also made fried chicken wings, shrimps, fish, and fries all drizzled with the mumbo sauce. Collins became so popular that he later went on to open about 5 more restaurants and he eventually went on to bottle and commercially sell the sauce. Although Argia B is now of blessed memory (he died in 2003) he was also literally known for using his famous barbeque as a frequent source of nourishment for a very young Rev Jesse Jackson who was fully involved in the civil right struggle in the 1960s. The mild sauce also became very popular at other friend chicken and BBQ joints in Chicago and can still be found in a few restaurants as of now, most likely in the African-American neighborhoods of the south side. How the sauce got to the Chinese restaurant and fried chicken takeout in DC to the extent that they were laying claim to the origin of the sauce is a question no one has been able to answer. But we can assume that a certain African American man or woman bought a bottle of the Argia B’s Mumbo Bar-B-q sauce and used it on carryout fries or fried chicken wings just like I did and supposedly took the sauce with them (after they must have been wowed by the taste though) to DC. It can also be imagined or assumed that the sauce probably made its way to DC with a cook from one of these Chinese restaurants. Anyways, however way it got to DC, during that period Argia B introduced his condiment, something similar to the mumbo sauce practically started showing up in DC. And while this story of mumbo sauce’s origin could have ended this way it didn’t. There was a trademark controversy between the supposed Chicago founders of the mumbo sauce and the capital city mumbo sauce (a big-time producer of the mumbo or mambo sauce as it is now called in DC). This issue actually ended in court and lasted for over two years after which the appeal board found that the DC-based company could not use the name or take it from its Chicago founder. 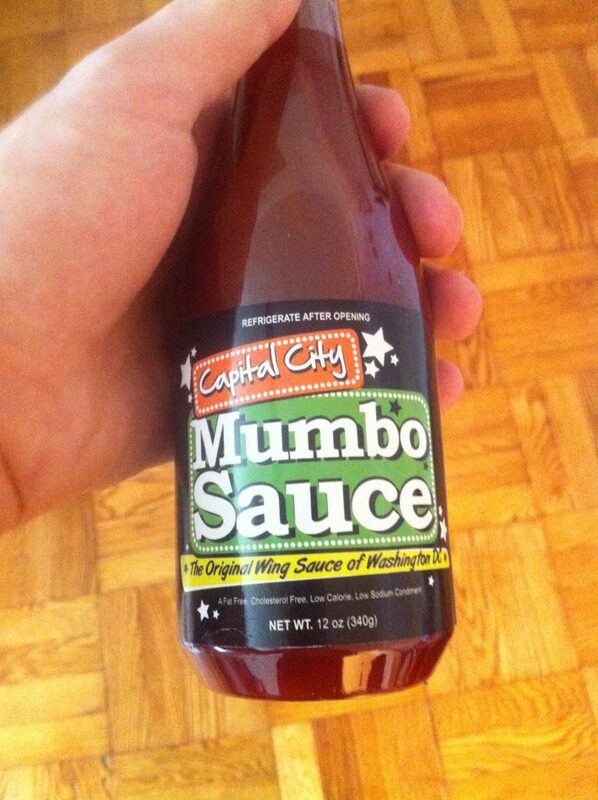 Hence there’s the capital city mambo instead of capital city mumbo sauce. So enough with the history class – sometimes, they might end up getting one sleepy. Next up, let’s look at ways we can actually make the mumbo or at least a twin replica of it. How to Make Mumbo Sauce – The best recipe! Making your own homemade mumbo sauce is quite easy, it is just a matter of mixing the right ingredient together and heating it till it thickens and then you have the mumbo sauce. If you have ten restaurants or joints making the mumbo sauce you might probably have nine different outcomes, this is basically because almost every takeout and restaurant all have different mumbo sauce ingredients they use in making their sauce depending on what their customers like or what sells for them. All the more reason you should make yours. For the fact that I have tasted some of the best mumbo sauce in the area (this includes both Chicago and DC) allows me to create one with the best features of them all. Just like I have said before the mumbo sauce doesn’t have any specific or general recipe, so for me and the purpose of this post, I will use the following ingredients (this also varies as I like to experiment a lot). I usually try this recipe on my fried chicken wings which happen to be my favorite, shrimps, grilled sweet and sour pork, barbeque ribs and also pulled pork. The first step is to make cornstarch slurry which is done by simply mixing cornstarch with some quantity of water in a clean medium sized bowl (cornstarch actually helps with the thickness of the sauce) and set aside. The second step is to carefully mix or combine in another medium bowl the rest of the ingredients which includes the white vinegar, soy sauce, ground ginger, pineapple juice, sriracha, cayenne pepper, sugar, and water. Then thoroughly and gently transfer the mixed ingredients to a saucepan over medium heat and allow to boil for a little while and then you add your slurry cornstarch, stir occasionally until it thickens, that should be about 15 minutes or so and then, remove from heat. Use immediately or store in an airtight container in a refrigerator for two weeks or more. 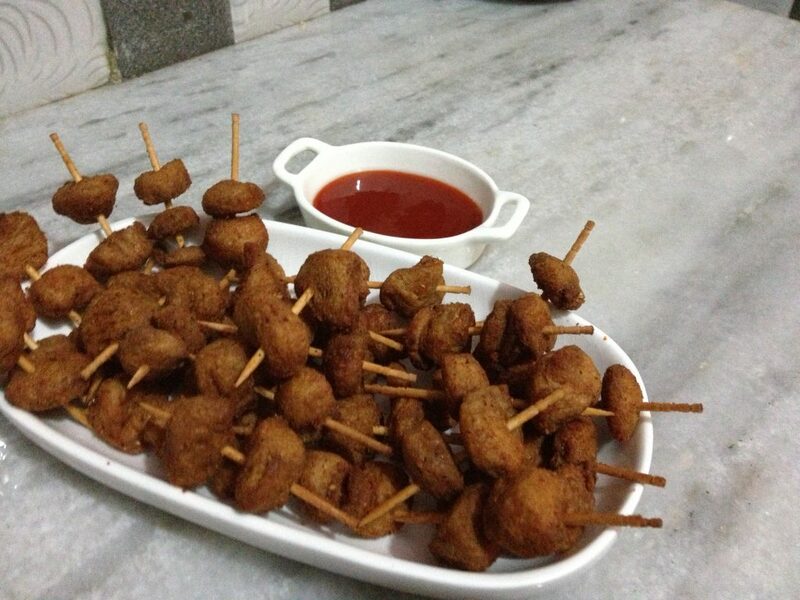 Note: The pineapple juice gives the sauce its fruity flavor while the tomato paste provides the reddish orange color. 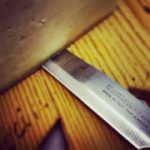 The slurry cornstarch aids in thickening the sauce so you can adjust the quantity of water used in mixing up the cornstarch – your adjustment depends on if you want a thicker or less thick mixture. As for the tomato paste you can use ketchup in place of it if you like to add extra sweetness, for the hot sauce I use Sriracha although some persons prefer to use the good old fashioned Tabasco sauce, feel free to use whatever you like and add any amount you like depending on how hot you usually like your sauce, its main purpose is to just to add a little background heat. 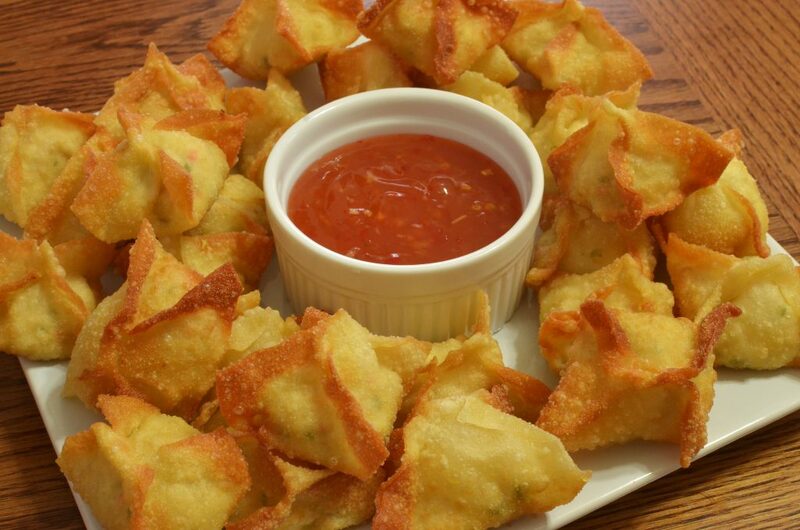 You’ll find the combo of chicken and mumbo sauce delightful to your tasted buds. Give it a try! One very popular variation of the mumbo sauce is the Chinese mumbo which I have had the opportunity of trying out and must certainly say that it is very similar in preparation and ingredient to the original mumbo sauce recipe except for the addition of lemon juice, ketchup and honey. To prepare the Chinese mumbo sauce is not so difficult, all you basically need is to add your lemon juice, honey and ketchup to the other mumbo sauce ingredients (which includes the tomato paste, ground ginger, soy sauce, pineapple juice, white vinegar and sugar) and mix thoroughly in a bowl and then transfer to a sauce pan over placed over a high medium heat. 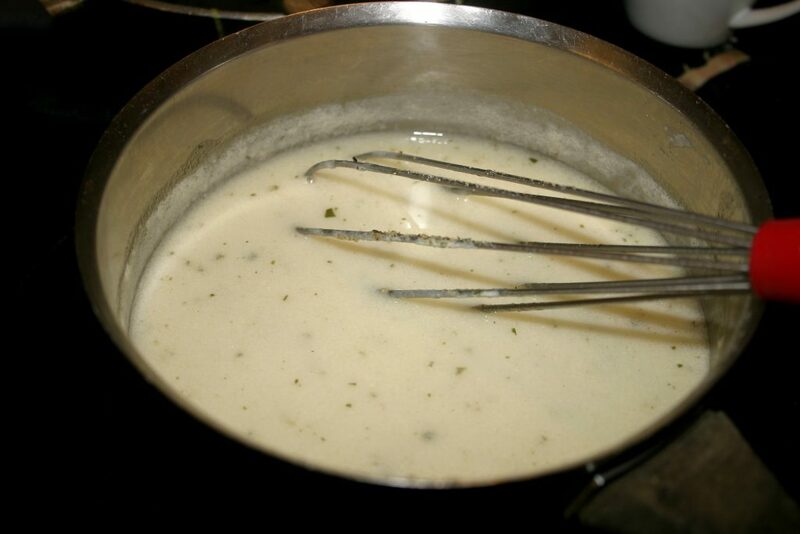 Reduce heat to low medium as soon the mixture begins to bubble and occasionally stir until mixture thickens. Allow to cook for 10 minutes, remove the sauce pan, turn off heat and allow to cool for another 10 minutes and pass sauce through a fine strainer to remove any form of solid. Note: for the Chinese mumbo sauce corn starch slurry was not made meaning there’s no need to add corn starch to your list of ingredients and this recipe also varies. There’s also the capital city mumbo sauce or at least something similar to it which seems to have a little notch of whiskey added to it and then there’s the kens mumbo sauce which is popularly found at various Chinese takeout in DC. And it doesn’t end with just these 3. Unlike the typical barbeque sauce, sweet and sour or ketchup, the mumbo sauce amidst its controversy is quite different both in color and taste, it is something that once you have a taste it practically leaves you begging for more. That’s it for today guys hope today’s post was as interesting just as it was educative. With all the information provided here about the famous mumbo, I believe with this mumbo sauce recipe, you can make yours and it might even taste better than the ones you buy outside. A Native American Dessert Recipe: How to make the acorn bread from scratch?